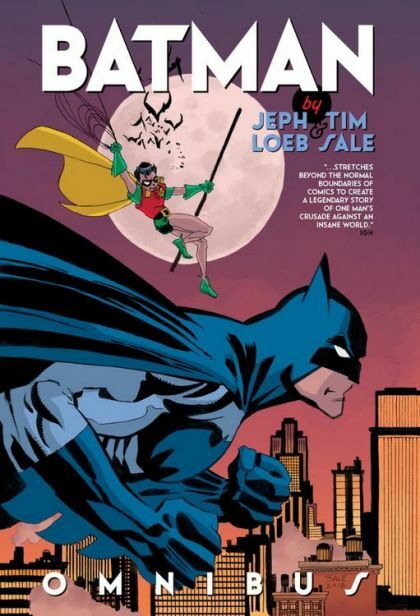 The legendary team of writer Jeph Loeb and artist Tim Sale devised some of the most memorable Batman tales of all time - and now their stories starring the Dark Knight (not to mention Catwoman!) are all collected in a single omnibus. This amazing new title includes BATMAN: LEGENDS OF THE DARK KNIGHT HALLOWEEN SPECIAL #1, BATMAN: MADNESS #1, BATMAN: GHOSTS #1, BATMAN: THE LONG HALLOWEEN #1-13, BATMAN: DARK VICTORY #0-13 and CATWOMAN: WHEN IN ROME #1-6, plus stories from SUPERMAN/BATMAN SECRET FILES 2003, SUPERMAN/BATMAN #26 and SOLO #1.